As most of you know, I have been trying my best to enter into monthly photo challenges through a website called I Heart Faces. I have been loving taking part in these challenges and seeing all of the entries from others as well! This month’s Social Media Challenge is on “The Letter B.” I have chosen a picture of boats from a recent trip to Alaska. This picture was taken in a little fishing town called Whittier. 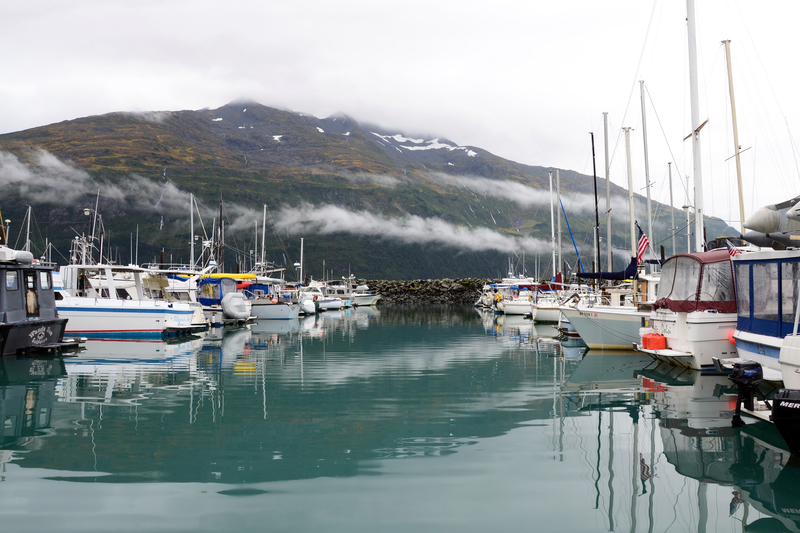 While we were in Alaska, I absolutely fell in love with this little town and all of the boats that were docked for the day. The haze of the fog set the perfect scene against the beautiful, mountainous backdrop, making this one of my absolute favorite vacation photos of all time. To see more entries into this challenge, visit the I Heart Faces Facebook Page. To see past challenges I have entered, click here. Your picture is gorgeous! I’m so jealous right now! Your passion for photography is evident! Good job! Thanks, Tisha! I appreciate your comment so much! Thanks for sharing it!